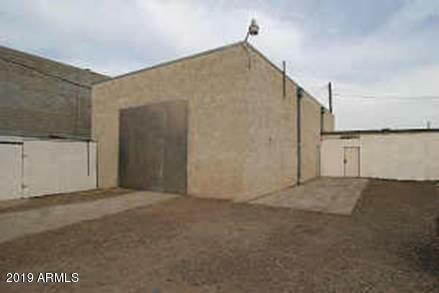 This is a very solid block construction building with 22' ceilings, zoned I-1, LIGHT INDUSTRIAL. Can be used for many different types of businesses. I have a complete list of the usage types the city will allow. Main building is 1800 sq' with 12' ceilings. Used as a storage warehouse. Water tight and solid. Clean concrete floor. Metal and foam roof approx 7 years old. 4 ton A/C unit replaced in 2000. 200 amp service. 2 huge drive-in doors. Stucco finish exterior.